The New Toyota 86 is track proven and street-ready. With a new look and refined features the Toyota 86 is given new life. With a 205-horsepower engine, you’ll constantly feel as if you’re sitting behind the wheel of a sports car. With the meticulous craftsmanship of Toyota The 2.0 liter flat four engine purrs and handles any corner you throw at it. 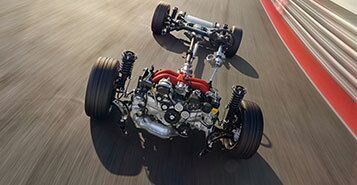 At the core of the new Toyota 86 is a potent 2.0-liter flat-four engine. Horizontally opposed pistons and compact packaging provide optimal balance and performance. When equipped with a manual transmission, this engine has been revised to reduce friction and pumping loss, helping to provide an optimized power curve. 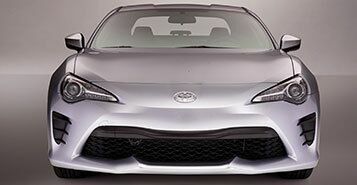 Toyota took the 86 straight from the past and brought with it the styling to match. 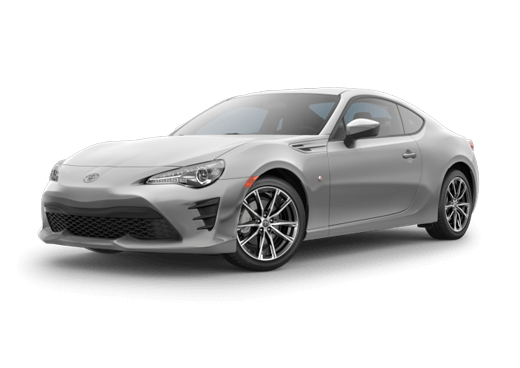 With a longer hood and a short rear deck the 86 represents the classic sports car profile. The new look is more than aesthetics and provides a ride that hugs the road. Equipped with a ergonomic, leather wrapped steering wheel the 86 offers a sporty wheel that feels lux. The integrated audio controls and smaller diameter provide a wheel that helps you stay in control.